On October 9, PESA filed a number of product exclusion requests under Section 301 for individual parts imported from China that make up Artificial Lift systems. If accepted by USTR, these exclusions will allow products fitting the descriptions to avoid additional duties of 25% being imposed on the products. The individual products filed were contained on List 1. Product exclusion requests for products contained on List 2 are due by December 18. The products contained on List 3 are still awaiting clarification from USTR on the timing and process for List 3, and PESA will share that with our members as soon as we know. 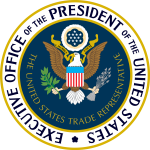 In the past month, PESA has reached out to all Member Companies to solicit the list of products which they import from China that fall on the three lists of products compiled by USTR to be subject to additional 10% or 25% tariffs upon importation into the United States. Based on the responses PESA received, commonality was found (meaning more than one PESA member listed said product) among four products. If your company has individual products on List 2 and would like to become involved in this process, please contact Tim Tarpley, VP Government Affairs.